So this evening I was cleaning some of my brushes (I have A LOT) and whilst in the lengthy process of this I thought it would be a good idea to make a blog post on my favourite brushes. I haven't seen many like this. 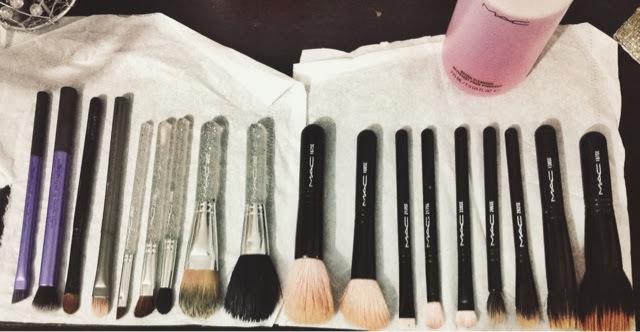 However, I think that it maybe useful to those who are just starting out in makeup, building a collection or just people in need of new brushes. Finding a brush you love can be a lengthy process, over the years I have tried many different brushes, for different things. My favourites do change throughout the years, what is my favourite now wasn't necessarily my favourite a few months ago. Also sometimes you don't like a brush (or even a product for that matter) the first time you use it, and you leave it for a few weeks or months, discarded, until one day you try it again, perhaps a different way, or with a different product, and you instantly love it! What I use it for: I originally used this brush for applying eyeshadows, but it didn't like it too much that way as it's not really soft, it's a very hard and sturdy brush. However, I have been using it for cream eyeshadows and bases and I absolutely adore it that way! It works perfectly for creams. How I use it: I use it an eyeshadow base mostly, usually MAC paint pot in painterly. I apply it after I have done my eyebrows, I use the very edge of it to create a perfect smooth line underneath the brows. What I like about it: it's perfect for cream eyeshadows because it's not at all fluffy, it's great as because it's a sort of hard brush you can get a lot of coverage and pigment pay off with this brush. What I use it for: I originally started off using this brush just for eyebrows, but lately I've also been using it for gel eyeliner too. 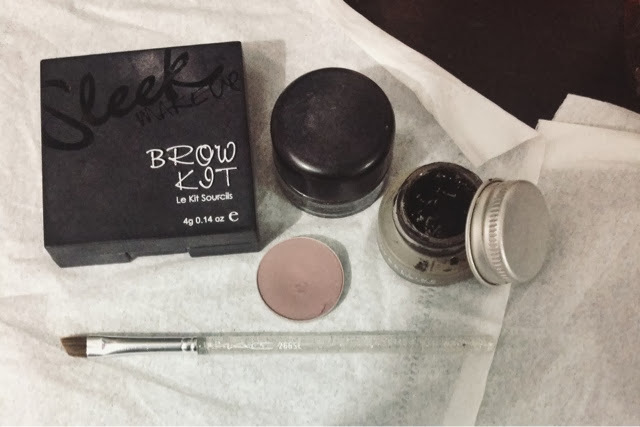 How I use it: I use it with both eyebrow cream/gel as well as powders for eyebrows, I usually use Sleek's brow kit (in light) or a MAC shadow such as Omega. I also use it with Gel eyeliners. What I like about it: because it's a really thin brush it's great for my eyebrows as they're quite thin, it's also great for gel eyeliner as you can create a really small thin line, or build it up to a thicker line. It is also sturdy but yet flexible so you can create a perfect straight line as well as a beautiful eyeliner flick. Where I got it from: it came with a MAC Christmas brush set, years ago. What I use it for: I use it for doing my brows. The first time I used this brush I instantly loved it! What I like about it: it's a great width for doing brows, that's what I love. It's also great with both powders and gels. How I use it: I mainly use this brush on the eye lid for packing on colour. Mostly, I use it for frosty colours as I find that it packs those on really well and gives a great deal of pigment. What I like about it: it's really good at packing on colour because it's a flat fluffy brush. It's great with frosty colours that sometimes don't show up so well because this brush really packs it on. What I use it for: Applying eyeshadow and blending. How I use it: My favourite way to use this brush is on the crease, it's a big fluffy brush so great for blending! I mainly use it with darker colours on the outer part of the crease both to apply the colour and to blend. Apparently it is also a great brush to use with concelar, although I am yet to try that out. What I like about it: it's a big fluffy brush, but not massively big. It blends really nicely and gives the eyeshadow a nice rounded shape to it in the crease, when applying eyeshadow to the crease directly. What I use it for: Blending eyeshadow. This was the first MAC brush I brought, well not this particular one, I have 2, a big one, which is now old, slightly worn with the MAC writing no longer visible on the brush. I still use that one however, I also use the smaller version too (plus that looked better in the photo than an old worn out brush). How I use it: I use this brush for blending, in circular motions as well and back and forth. 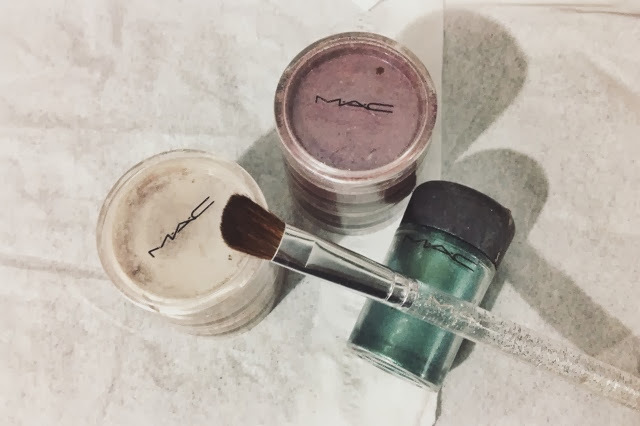 How long I've used it for: many years, the 217 was the first MAC brush I ever brought! 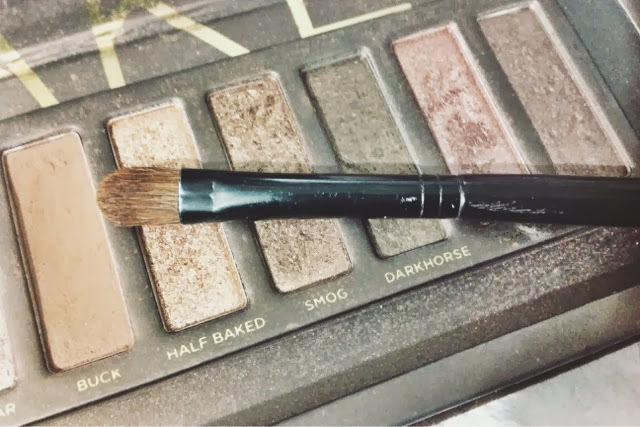 What I like about it: it's one of my most loved brushes. This brush (when clean) blends perfectly and seamlessly, this brush, in my own opinion is the best blending brush you could ever have! What I use it for: Applying eyeshadow. How I use it: I use this to apply eyeshadow to the lid and under the eye. 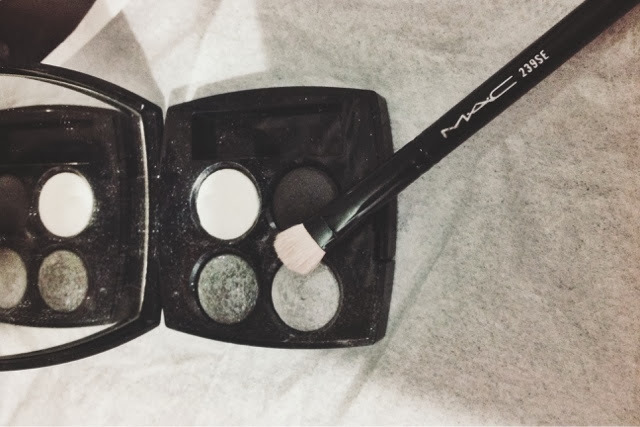 I use it to pat on the eyeshadow on the lid, and to blend shadow underneath the eye. I also find that swiping the brush down the eyeshadow helps it to pick up and deposit a lot more eyeshadow. I love using it with the Urban Decay Palette espically with the more golden brown tones as it picks up a lot of the glittery pigments in them and makes it stand out a lot more. What I like about it: it's really dense and is great for applying eyeshadow especially when you want an eyeshadow to be super pigmented! It picks up colour beautifully. It's also a perfect size for under the eye too. 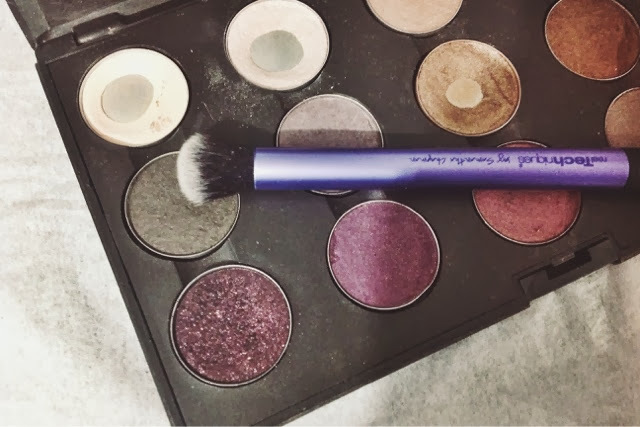 How I use it: I use this brush for applying eyeshadow underneath the eye, as well as to create a harsher line on the outer corner of the eye. What I like about it: the fact that this brush is angled makes it very useful for applying eyeshadow underneath the eye, as well as to give a harsher edge to the outer corner of the eye. 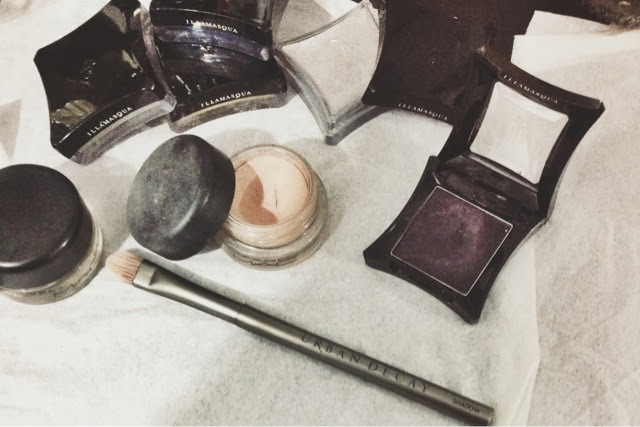 What I use it for: Applying foundation. I know that the full size of this brush in MAC is about £50! Which I think is a rather extortionate price for one brush. 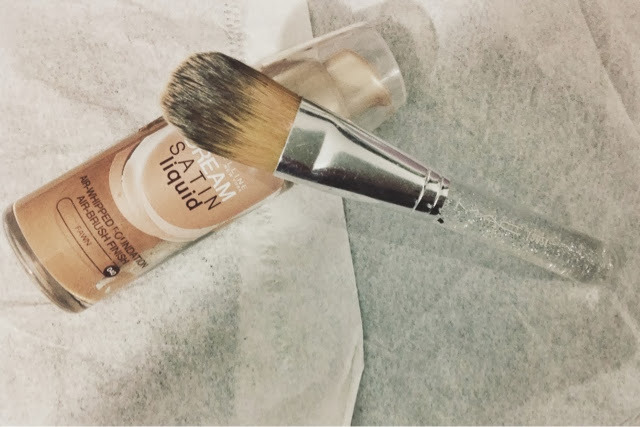 How I use it: I use this brush by stippling the foundation into the skin, then blending it in circular motions which creates a more full coverage finish. It also works better with a heavy foundation such as MAC Studio Sclupt or Rimmel Stay Matte which is more of a heavier gel consistancy a posed to a liquid. 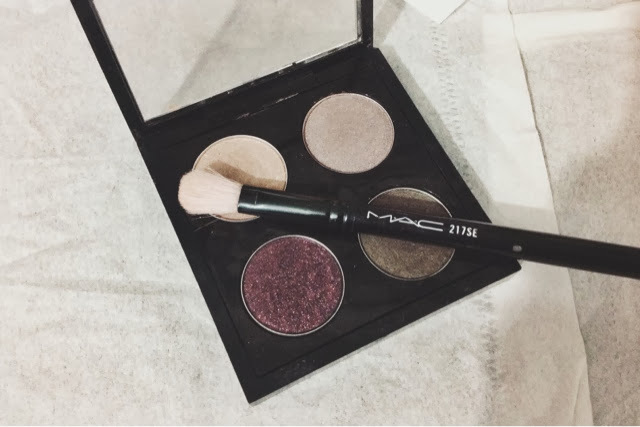 What I like about it: I've always wanted this brush from MAC, I was so excited when I saw it in the Christmas set for less than the single full sized one cost! I've always liked stippling brushes and I like how you can create a really full coverage and flawless finish with it. What I use it for: Applying foundation. How I use it: I use this brush by sort of painting the foundation on, starting at the middle and then blending it outwards. Sometimes if I have a problem area (e.g. Redness, spots...) I will use this brush to pat the foundation on over that area that way it gives a more fuller coverage in said areas. 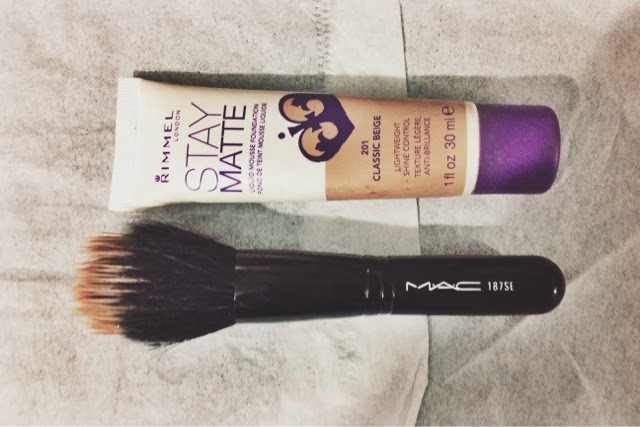 This brush works best with liquid foundations. 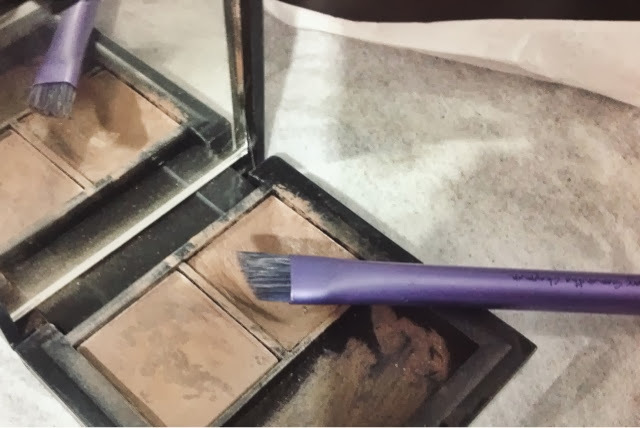 What I like about it: it's a lot better quality than most other flat foundation brushes, all the others I have tried in the past (mainly drugstore brands) have been flimsy and soak up a lot of product. This one doesn't do either, it's a very well made sturdy brush, that's very flexible, and that doesn't soak up a ridiculous amount of product, it can also create a flawless finish and you can use it to build up the coverage.